The Orpheum Theatre was opened on February 24, 1916. It was renamed Capitol Theatre in 1922. It was remodeled in 1938 to the plans of architect William L. Pereira. While showing a horror-flick marathon and right in the middle of some English vampire flick, real bats that had taken up residence in the drafty old theater, dive bombed the audience and sent them running out through the lobby and right into the street. When the building was demolished in around 1975, another victim “urban renewal”, they started one block over, on the Pearl Street side of the building. They tore the wall off that contained the stage and screen, and you could drive by and look into auditorium and balcony areas. The only lobby and entryway to the theater was wedged between two other building on Michigan Avenue and still remains. The stage house was adjacent to the stage of the Michigan Theatre, which is still operating as a non-profit. In recent years, several business people have tried to “capitolize” on the building’s past by creating a restaurant called Theatre Coffee, which restored the lobby. A recent visit to the Capitol Theatre revealed that it was being used as a halloween attraction – a haunted house. The architect of the Capitol Theatre (1938) was W.L. Pereira. I used to work with the people who had the coffee shop in the theater back in the 90s.I created the logo for them.at the time I was a patron of the shop for a long time till I moved&gt; its a pit they went out of buisness and its a stupid haunted house now what a wast.. The Capitol Theatre was the venue that had a theatre organ and not the adjacent Michigan Theatre, which has never had any organ installed. 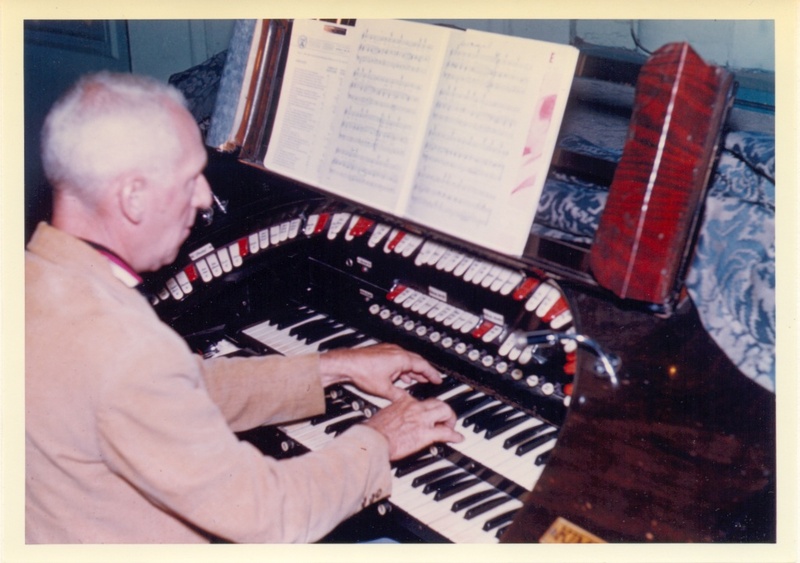 The organ, a 1928 W.W. Kimball Opus KPO 7020, 2-manual, 8-rank job with an enormous amount of “add-ons” (as much as many 4-manual organs) was raised via a scissors lift. The organ fell into disrepair due to a flood and lack of maintenance and was removed and parted out in the mid-1970’s. The toy counter is now located on the 3-manual Barton organ located at the Grand Ledge Opera House, for example. I now own the console and other parts and am in the process of restoring it. It should be noted that the console alone weighs in the neighborhood of 1800 pounds! The operator of the Capitol Theatre was the Butterfield chain……there is some splotching of “Butterfield green” paint on the mahogany finished console. It’s a shame the Capitol was demolished to make room for some parking lot…again! Patsy this almost always happens,parking lots are big money makers for the owners and they run the parking lot for 10 to 20 years and use their profits to build something else or sale the land.This happens in Nashville I know all the time. Sorry to read that this happens in Nashville all the time! This article by Leanne Smith in the Jackson Citizen Patriot says that the Capitol Theatre was opened as the Orpheum Theatre on February 24, 1916, and was renamed the Capitol in 1922. The theater closed in 1973 and was demolished in 1975. The Capitol Theatre opened as The Orpheum on Feb. 24, 1916, and was quickly billed as “Jackson’s temple of vaudeville.” It boasted both luxury and innovation, including a 29-foot-by-30-foot frameless, asbestos stage curtain that was fire resistant yet beautiful with its scenic depiction of Pharaoh’s daughter finding the infant Moses in the bull rushes. Scenery included a New York City street set showing Herald Square at night. Three kinds of marble decorated the entrance. There was two-tone blue velvet carpeting on the stairs leading to the balcony and a mural covered the whole front ceiling. An opening night vaudeville show that included a sketch from Jackson playwright Fred Beaman, a comedy circus and Russian vocalists was seen by about 2,600 people. The Orpheum became The Capitol in 1922 when motion pictures started to replace live theater performances. Jackson’s first radio station, WIBJ-AM, broadcast from its basement until relocating in 1927. The Capitol was remodeled in 1937 after suffering damage during construction of the Tower Building. It had 869 seats and was owned by the Butterfield Circuit (Publix-Paramount).